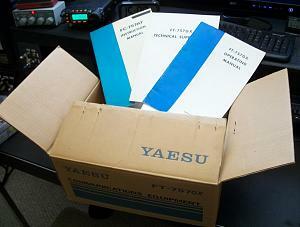 Vintage Yaesu FT-757GX HF station. unit, and matching FC-757AT fully automatic antenna tuner with dummy load. All are in good working and cosmetic condition. manuals, cords, and connecting cables are included along with an extra instruction manual printed for notebook use. There is no microphone with this setup because it has only been used for CW and the key is not included in the sale. $750.00 Cash or money order only please. Contact Kris at n3fh@w6jbt.org for more information. NOTE: All transactions must be made between seller and buyer. 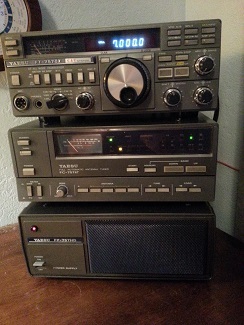 Citrus Belt Amateur Radio Club is not responsible for any sale transactions, condition and working order of all items sold or traded.